PremiumSportsCenter: WHO IS THE ENGLISH PREMIER LEAGUE STAR IN THE PICTURE? WHO IS THE ENGLISH PREMIER LEAGUE STAR IN THE PICTURE? Who is this child? Look at the pictures carefully and you may guess who the boy is. He is a star player in the English premier league and his team is in the top five of the log. so start guessing!!!. 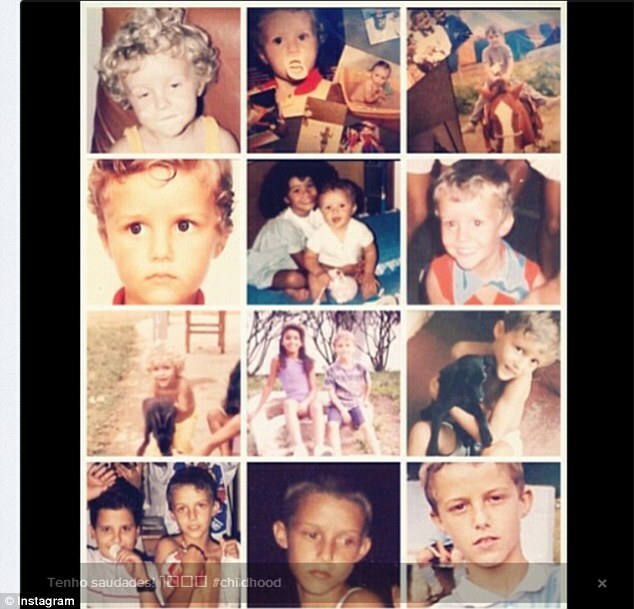 The Brazilian centre back posted this picture on his Instagram account on Wednesday morning, a digital collage of images from his youth in Diadema, Sao Paulo. He was released by Sao Paulo FC at the age of 14 and signed for Vitoria, helping them achieve promotion to the second division. In January 2007 he moved to Benfica and, four years later, signed for Chelsea.